Right now Amazon has the Kindle and Kindle Paperwhite on sale for about the twelfth time this year for Prime Day. They had the new Kindle Oasis on sale last week, and they knocked $50 off the price of the Voyage last month. Kobo, on the other hand, rarely puts their ebook readers on sale, and you almost never see ads for them. They put the Kobo Aura 2 on sale for $99, but they do it so frequently that it’s basically the regular price, and with a 212 ppi screen that should be the regular price. Kobo seldom discounts their other models unless they’re phasing them out for a newer model. In fact Kobo has never once put the Kobo Aura One on sale, not even for Black Friday or Cyber Monday. In September it will be two years old and in all likelihood it will get replaced with a newer model within a year, and still they never put it on sale. Why is Kobo so nonchalant about selling their ereaders? It’s like they could care less if people want to buy their products or not. The Kobo Aura One is one of the best ebook readers to ever get released and most people don’t even know it exists. If Kobo put it on sale once in awhile more people would probably here about it and consider it a viable alternative to Kindles. Here’s the real kicker. 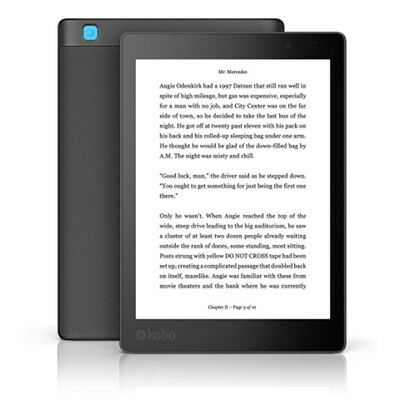 The Kobo Aura One sells for $229 in the US and $249 in Canada. With the current exchange rate, $249 CAD is equivalent to about $189 USD. Why doesn’t Kobo at least put it on sale in the US for the equivalent of the Canadian price once in awhile? Even at $199 they’d probably see a boost in sales. Yeah, that’s why I buy Kobos from Chapters-Indigo. So I can get that favorable exchange rate. And the customer service is better. Maybe it’ll go on sale when it starts selling in Walmart stores. Whenever that is. We’ve been waiting for how long for that now? They announced the Walmart partnership in January. After 6 months you’d think they would have started selling them by now. I wonder what’s causing the delay. I bought my Kobo Aura One when it was for sale in Fnac Spain last autumn, it was 50€ off, 179€ instead of 229€.